While London may be the capital and biggest city in the UK, it hasn’t always been synonymous with sport. After all, the country’s two biggest football clubs (namely Manchester United and Liverpool) reside in the North West, while sports such as cricket and rugby league are most popular north of the Midlands. This is not to say that London does not have a rich sporting history, however, and the capital is still home to several famous monuments and must-see landmarks. We’ll appraise three of the best below, while asking why they’re so special and what they offer to visitors. One sport that we missed out at the top of the piece is tennis, and it’s interesting to note that Wimbledon remains the single most famous and iconic Grand Slam tournament. This is hosted at the iconic All England Club in London’s affluent SW19 region and Wimbledon is a true summer spectacle that encapsulates the attention of an entire nation for two weeks every June. 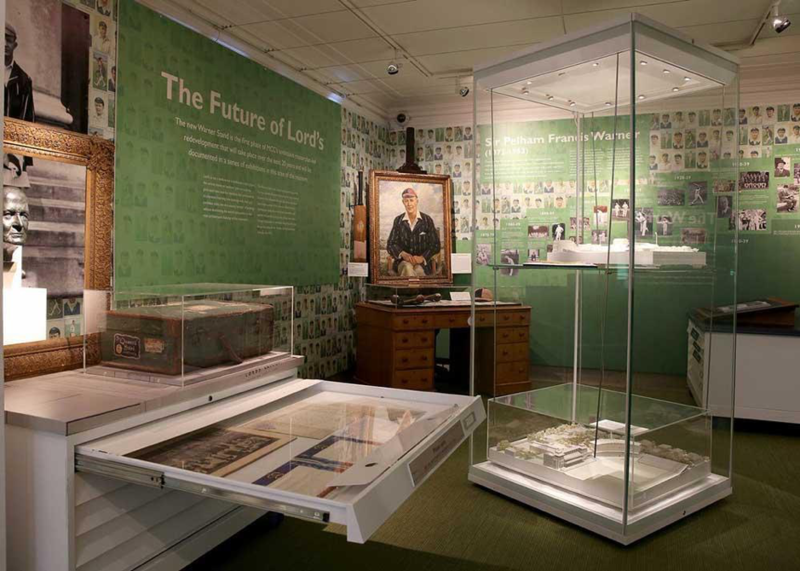 Visitors here can also see the Wimbledon Lawn Tennis Museum, which features an extensive range of artefacts and memorabilia that narrate the story of the tournament from its inception back in 1877. Despite its fascinating history, however, the museum is also equipped with high technology, including a 200-degree screen that shows clips, footage and even a film about the science of tennis and what defines the sport’s best players. While cricket clubs such as Yorkshire and Lancashire may be among the most iconic in the UK, the home of the sport in the UK is undoubtedly Lords and it can easily be argued that it’s amongst the best tours London has to offer. With this in mind, there’s no finer experience than heading behind the scenes at the historic Lords Cricket Ground in the London’s wonderful Marylebone region. Aside from a tour of the Lords stadium, and the opportunity to take in the ground’s famous honours board first-hand, this excursion also takes in the Marylebone Cricket Club Museum. Fittingly, this is the world’s oldest sporting museum, and one that houses the finest imaginable collection of cricket memorabilia and artefacts from the game’s history. You can even find the kit of cricketing legends like Sir Don Bradman here, which we’d argue is worth the entry fee alone! We arguably live in the age of the armchair football fan, with online betting sites like bonus.co.uk on the increase in the UK, as statistics from the Gambling Commission have borne out. We are seeing more advertisements on T.V. and social media and now it’s become common for betting firms to sponsor Premier League teams too. Arsenal have made a good start life under manager Unai Emery, and are currently priced at 100/1 to win the Premier League with 888sport. Chelsea are 66/1 to win the League with the same bookie, and they’re available at as little as 3/10 with Betfred to land a top 4 finish. For the purists among you, however, there’s nothing quite like heading to the ground and taking in the atmosphere on matchday. This also gives you a chance to check out the surrounding landmarks and icons, including club museums and their most important monuments. We particularly like the Arsenal and Chelsea FC museums, as these building narrate the fascinating history of the capital’s two most successful clubs. The Emirates Stadium, which has been home to the Gunners since 2005, offers a superb tour and on-site museum, while fans of the Blues can check out the Chelsea museum in the bowels of Stamford Bridge. From trophy replicas to the stories behind the clubs’ most famous wins, these museums offer something for both new and old fans. As for the stadium tours, you’ll be able to check out usually restricted areas such as the players’ tunnel, along with the changes room and even the coveted Directors’ Box.